Costly Hepatitis C Pill Shreds Drug Industry Sales Record : Shots - Health News Sovaldi has been found to be remarkably effective in curing most patients with common forms of hepatitis C in a matter of months. But the clinical success comes at a high price. 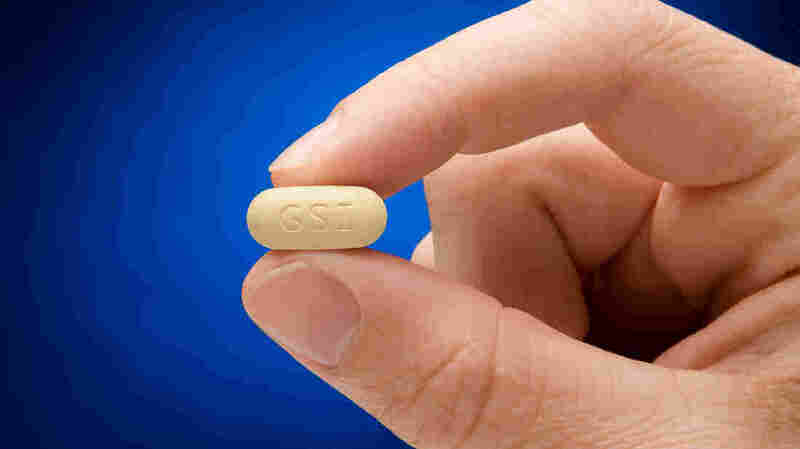 Sovaldi, a daily oral treatment for hepatitis C, costs $1,000 a pill. The launch of Sovaldi, the $1,000-a-day pill for hepatitis C, is shaping up as the most successful ever. The Food and Drug Administration approved the pill in December. And then Gilead Sciences was off to the races. The company said it sold $2.27 billion worth of Sovaldi in the quarter that ended March 31. $2.27 billion! The boffo number beat Wall Street's estimate for the quarter by more than $1 billion. Sovaldi is the first hepatitis C pill that doesn't have to be accompanied by interferon for some types of hepatitis. Sovaldi has been found to be remarkably effective, essentially curing 90 percent or more patients with a common form of hepatitis C in 12 weeks. "Sovaldi's profile has the potential to transform the treatment of hepatitis C, and the rapid uptake speaks to a significant unmet medical need," Gilead CEO John Martin told analysts and investors during a Tuesday conference call. But the price of the drug has drawn fire. "The predicted costs of the new oral antiviral agents are as breathtaking as their effectiveness," said an editorial in a recent issue of the New England Journal of Medicine. 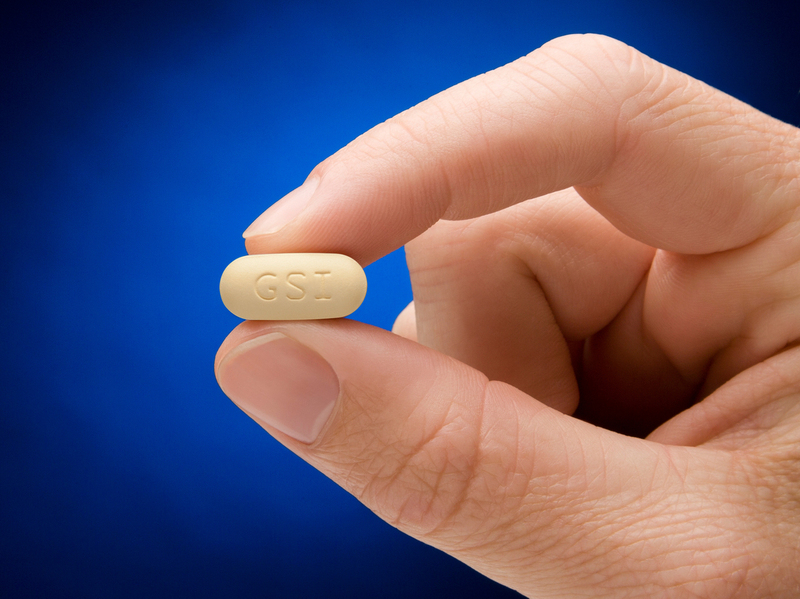 "Costs alone cast a pall over the stunning success in achieving the long-hoped-for goal of a safe and effective therapy for hepatitis C."
In December, Gregg Alton, a vice president at Gilead, said the high price is fully justified. "We didn't really say, 'We want to charge $1,000 a pill,' " Alton said. "We're just looking at what we think was a fair price for the value that we're bringing into the health care system and to the patients." In Tuesday's conference call, analysts peppered Gilead management with questions about the company's talks with insurers about covering the treatment. One approach to contain costs would limit the use of Sovaldi to patients with more advanced hepatitis C, marked by significant scarring of the liver. "I do not believe it's justified medically to prioritize and restrict the cure of hepatitis C. It may be necessary economically," said Norbert W. Bischofberger, Gilead's head of research, during the call. The Centers for Disease Control and Prevention estimates that 3.2 million people in the U.S. have chronic hepatitis C infections. Most of them haven't been diagnosed. To make the case for Sovaldi's price, Gilead put together a chart of hepatitis C treatment costs for a variety of medicines. A combination of Sovaldi, a common form of interferon and the antiviral ribavirin, would cost $94,078 for treatment that would last 12 weeks. Other drug combinations that would take longer for treatment ranged from $64,825 to $106,673. One of the alternatives to Sovaldi is Incivek, made by Vertex Pharmaceuticals. And it was Incivek, approved by the FDA in 2011, that held the record for the fastest launch — $1.56 billion in the first year — until Sovaldi smashed it last month, according to figures from the industry watchers at EP Vantage.